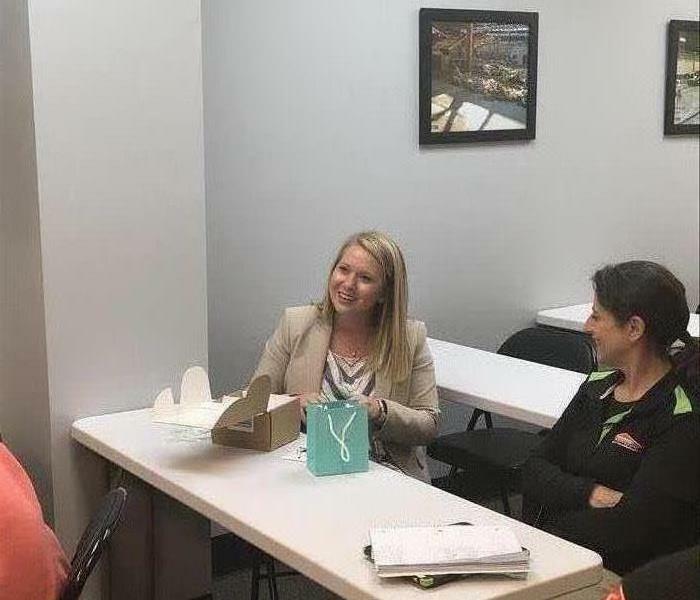 Effective training is the best way to ensure our customers receive the services they deserve. 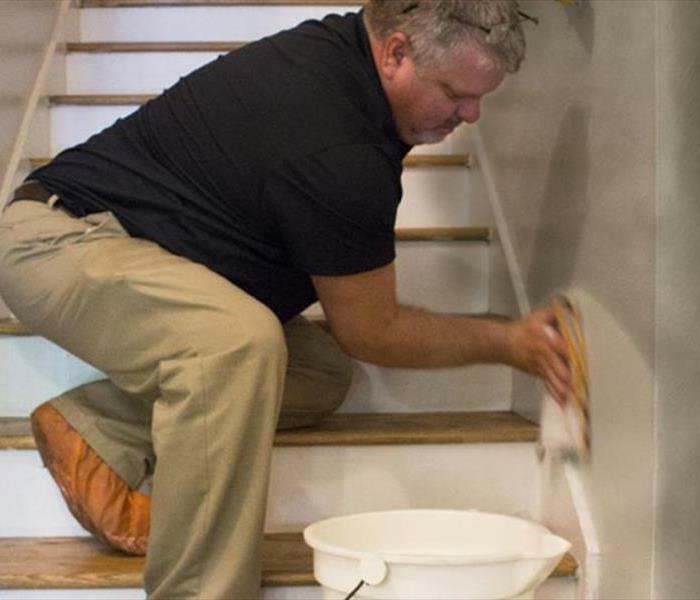 With SERVPRO our technicians are trained to the IICRC standards. 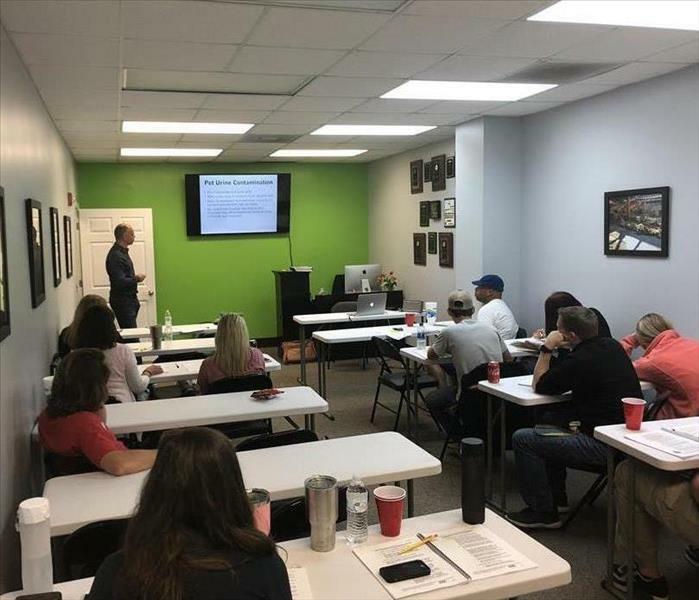 Our technicians attended the IICRC Triple Certification Course for CCT (Carpet Cleaning Technician) and FSRT/OCT (Fire and Odor Combo) last week and even devoted their time to coming throughout the weekend. SERVPRO understand that that using the proper equipment makes a measurable difference in reducing claims loss expense. Time is of the essence when a crisis occurs. Having the proper training, technology, and equipment is vital to timely mitigation. The most important part is our professionals understand how to dry a structure and person's property effectively. Without our equipment, our job would be impossible. SERVPRO has some the most up to date equipment, along with trained and licensed personnel. After each job is complete and equipment has been removed, our equipment than goes back to the warehouse where it is properly cleaned and checked out to ensure that it is working to the best of its ability. It was a bittersweet day for SERVPRO Bryan, Effingham, McIntosh, and Liberty County as we all had to say farewell to an amazing employee. Nikki was an employee of the company for 2 years and will be missed by everyone who came in contact with her. Nikki, everyone at SERVPRO wishes you the best in all your future endeavors. Thank you for being apart of the SERVPRO family. SERVPRO has the experience and the equipment needed to help make any situation "Like it never even happened." 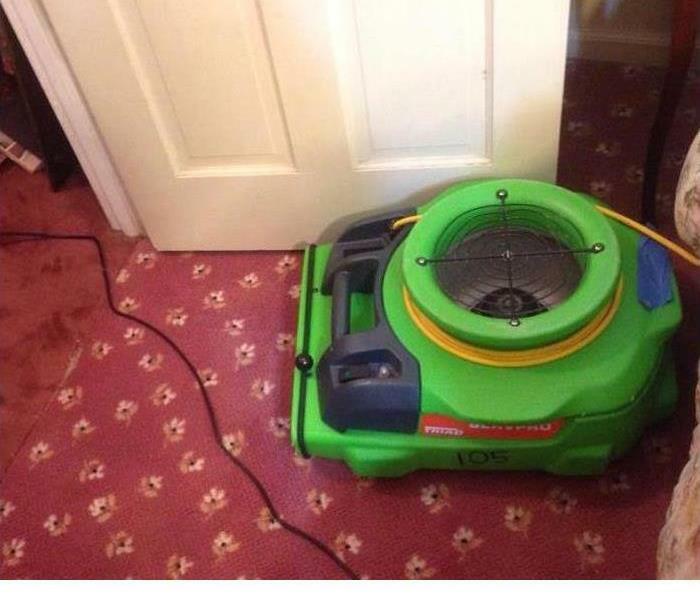 Meet the HEPA 500 air scrubber. This multi-stage HEPA filtration unit delivers the maximum performance for air scrubbing, negative air applications, or smoke and odor removal. Our technician is hard at work pulling up flooring that was damaged due to a water leak. The leak occurred when the supply line from an ice maker machine came loose. 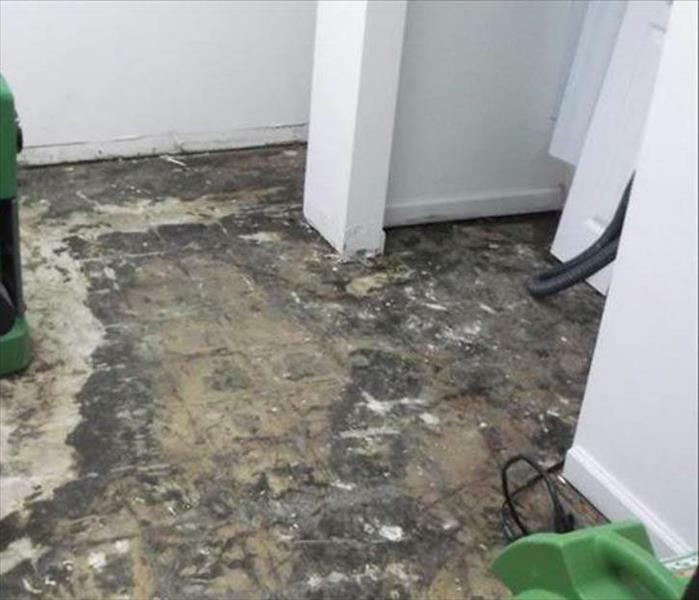 SERVPRO understands the stresses that come in situations like these and we are always ready to assist. A fire can be a traumatic experience for a family, but imagine having it happen before the holidays, that is exactly what one family encountered. This fire originated in the fireplace and the fire department had to pull the chimney completely away from the house. 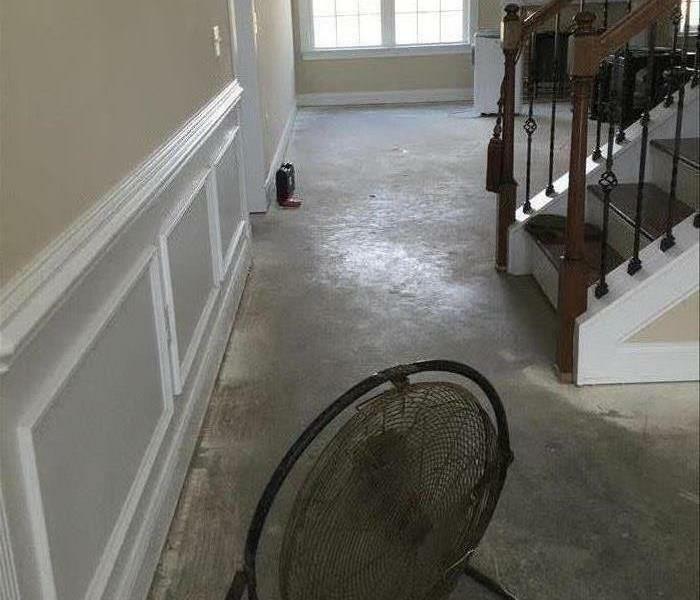 With SERVPRO no one has to endure a situation like this alone. This bathroom received water damage due to a damaged roof during the previous hurricane. The homeowner called us to come to restore the bathroom to preloss condition. He loved the end result! Hurricane Irma damaged this sunroom due to the storm surge it brought. The ceiling had extensive water damaged which resulted with us removing the damaged area. You also see the containment barrier to protect the areas in the home from the damage. 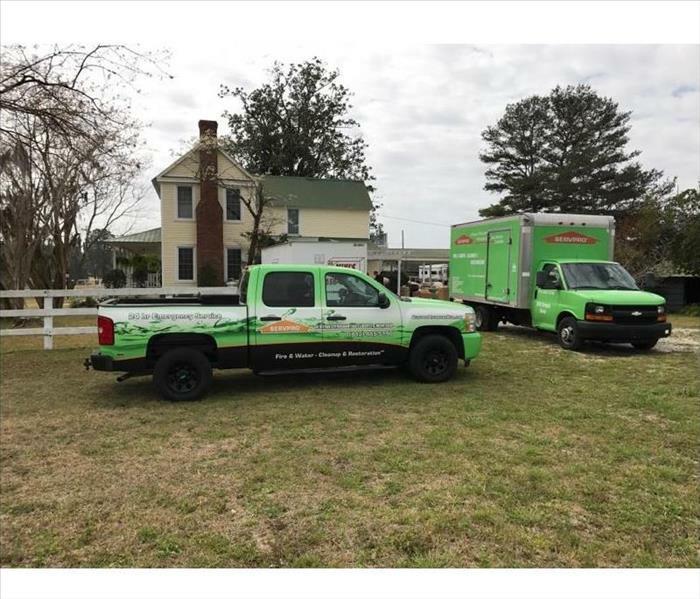 SERVPRO of Bryan, Effingham, McIntosh, and East Liberty County responded to a home where there was extensive damage due to a fire. 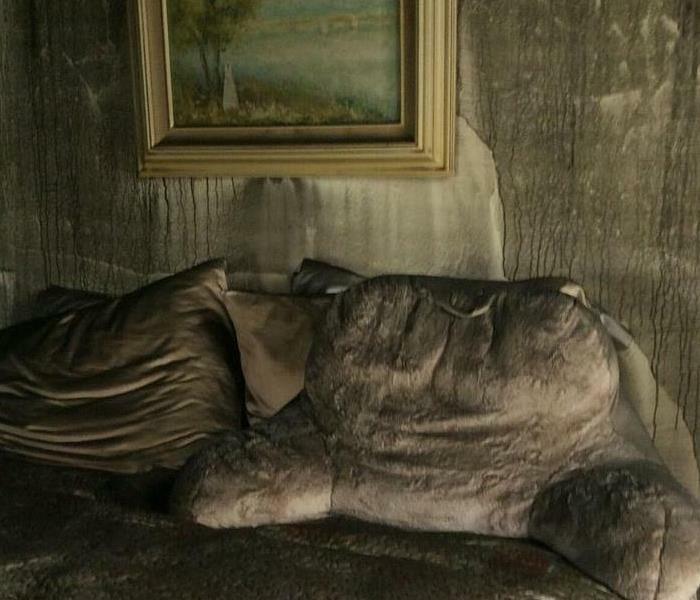 This bedroom had smoke and fire damage to everything. This was a chair the owner lost due to a massive fire in the house. The chair was older and the owner looked to us for advice on the possibility of being good as new. When we inspected the material, we felt we could get it decently clean. The owner then decided it was time for a new chair. The refrigerator began to leak very slowly causing damage to the flooring under the refrigerator. SERVPRO came in to restore the beautiful flooring to preloss condition. 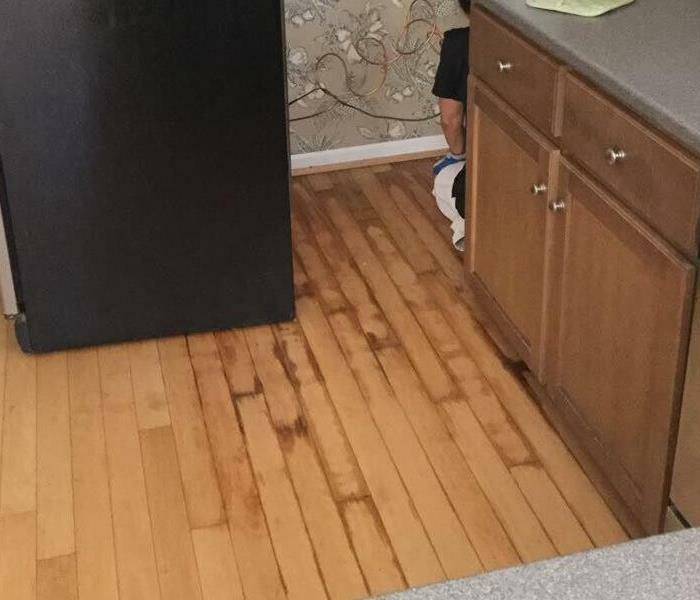 The homeowner was excited about how the flooring turned out. Our technician inspecting the carpet for the extent of damage due to water. SERVPRO of Bryan, Effingham, McIntosh, and East Liberty Counties is always ready for any fire or water emergency. 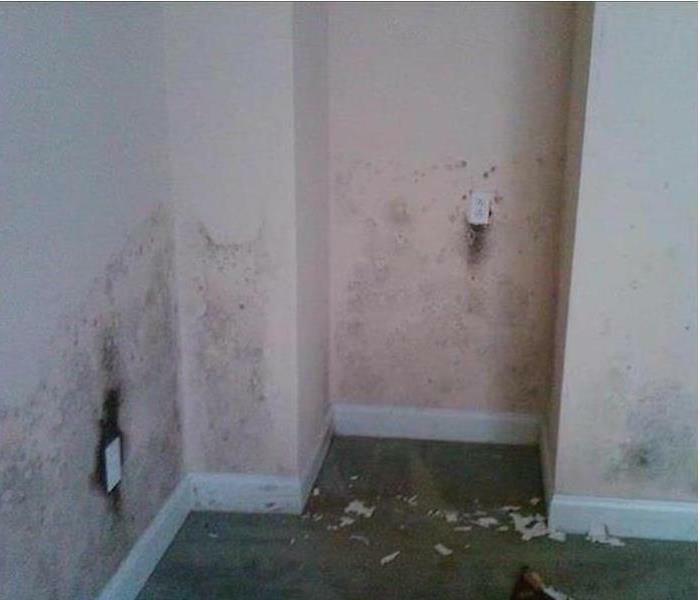 We were called into a home to treat for microbial growth. This picture shows a containment barrier to keep the contaminated areas separate from the non-contaminated areas. We are ready for any type of restoration or mitigation! 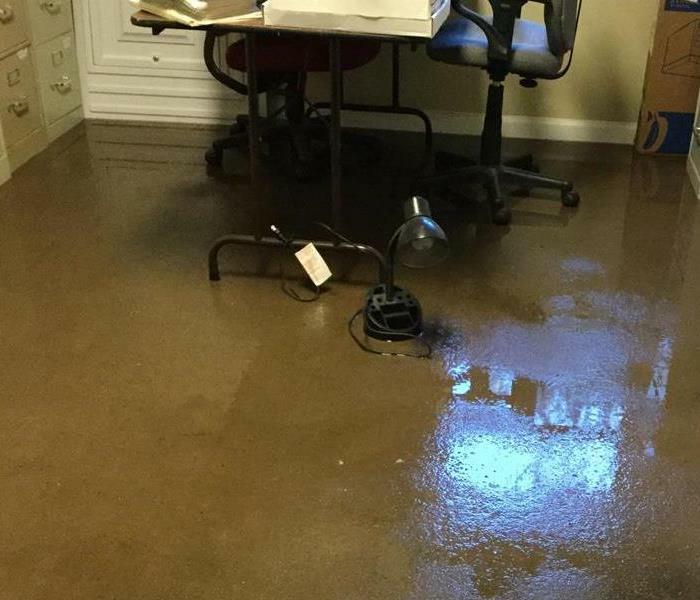 A water line flooded a room in a local business. 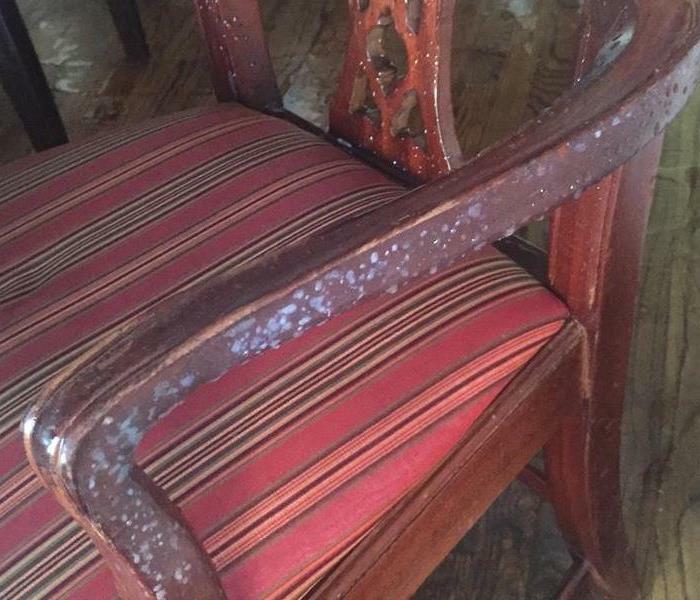 This chair is the result from water damage beginning to ruin the chair. 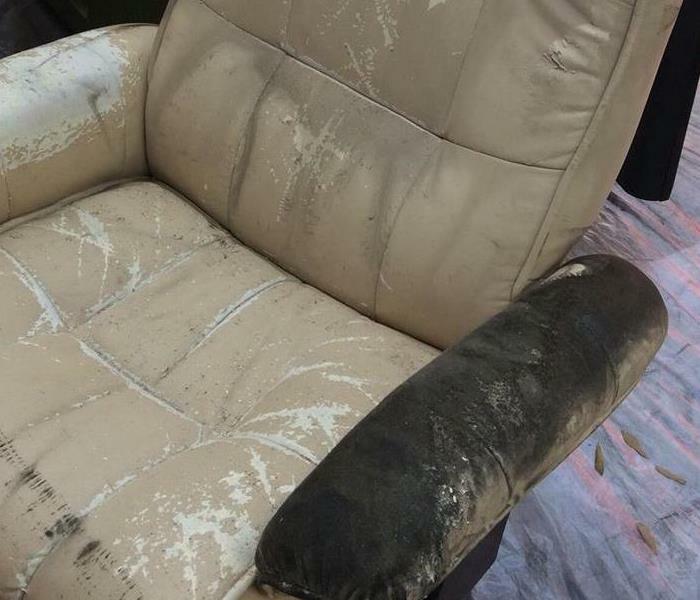 We were able to restore the chair to preloss condition. 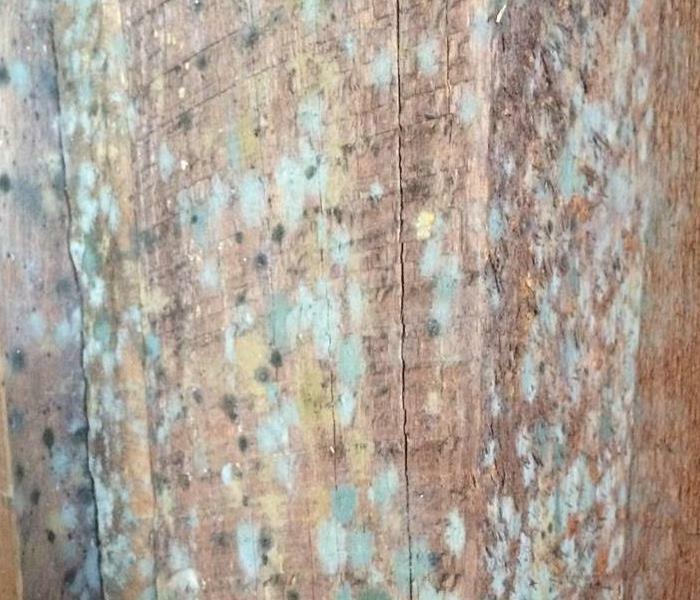 Microbial growth loves porous material such as wood. This area was covered in mold spores. We treated the microbial growth to remove the mold. Finally we treated the infected wood to kill any future possibilities of mold growth. 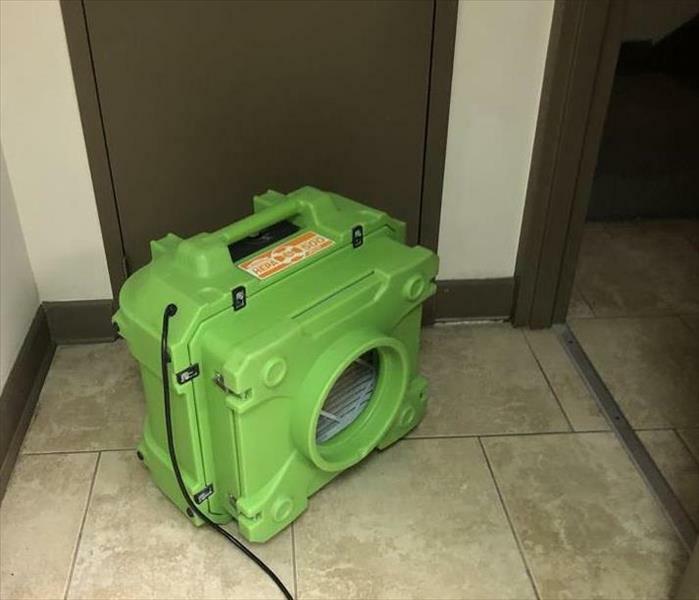 SERVPRO of Bryan, Effingham, McIntosh, and East Liberty Counties responded to a call from a hotel with water damage. We were quickly on the scene ready to work! 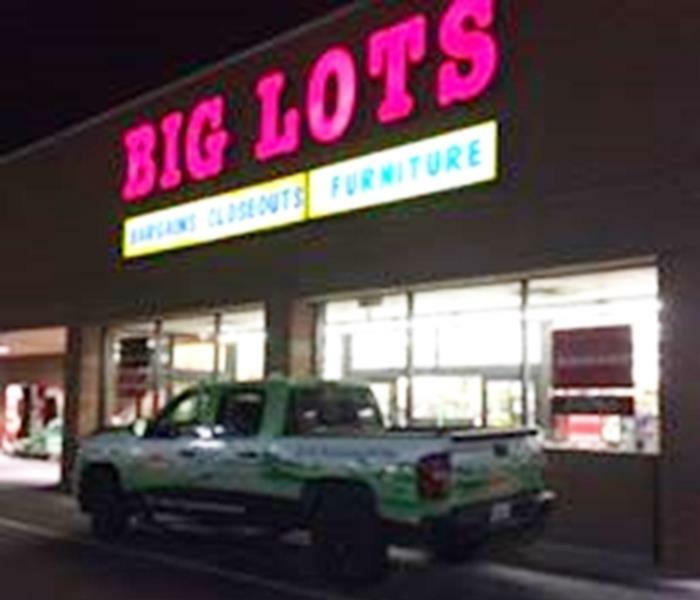 We are here for your emergency needs. Our team responded to a call to a business that was drenched in water. Fortunately, our team is quick to respond to any disaster. We were able to properly care for this store due to the trainings SERVPRO has to offer. 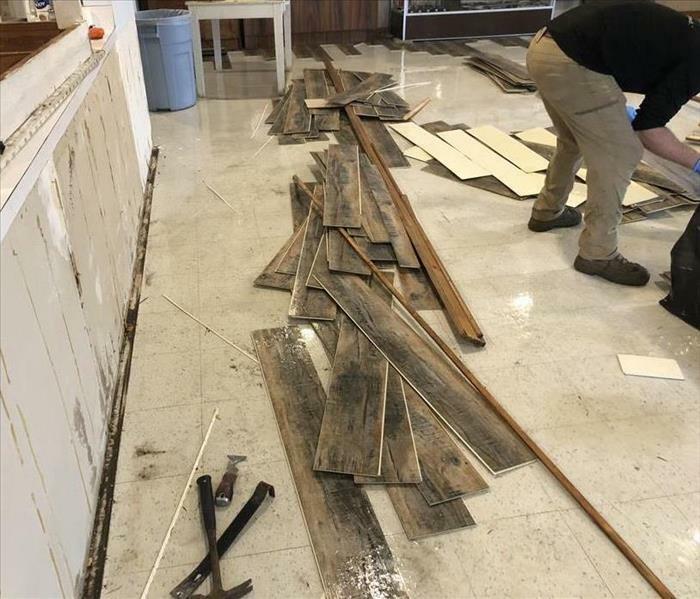 SERVPRO of Bryan, Effingham, McIntosh, and East Liberty Counties was called to a business office where water was attempting to take charge. 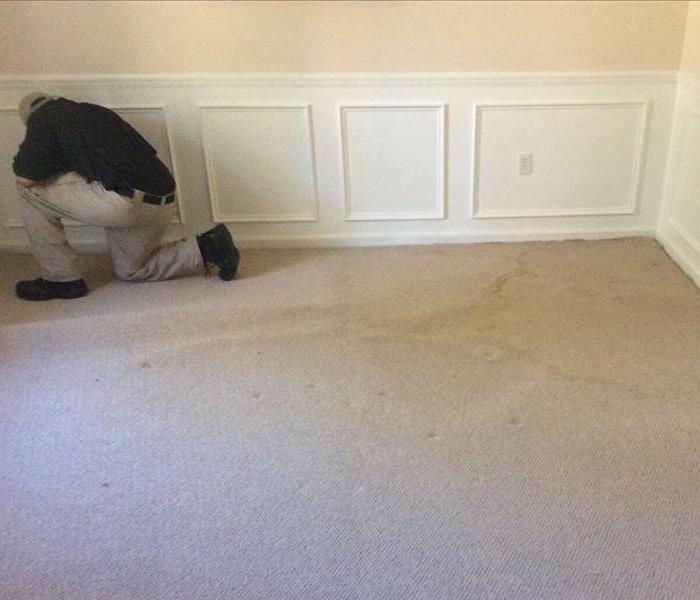 The water leak ruined the carpet, but our team was able to salvage all documents and storage spaces. A fire can quickly destroy a home. 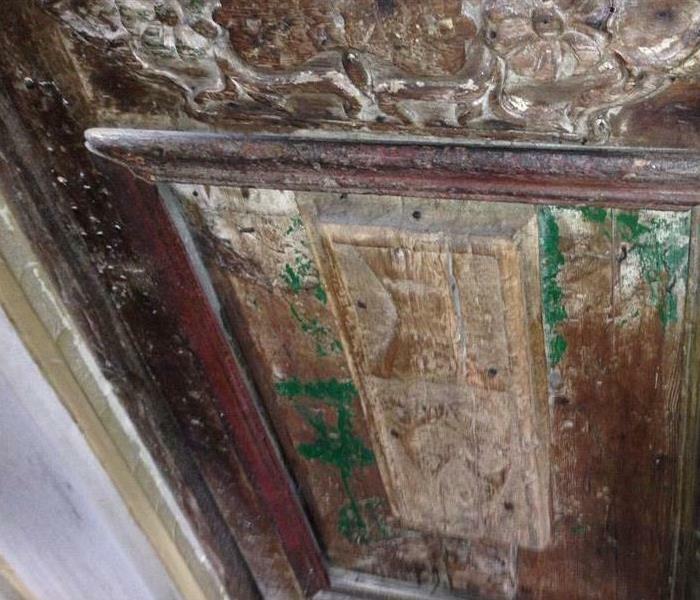 This front door was severely damaged due to a fire that started within the home. 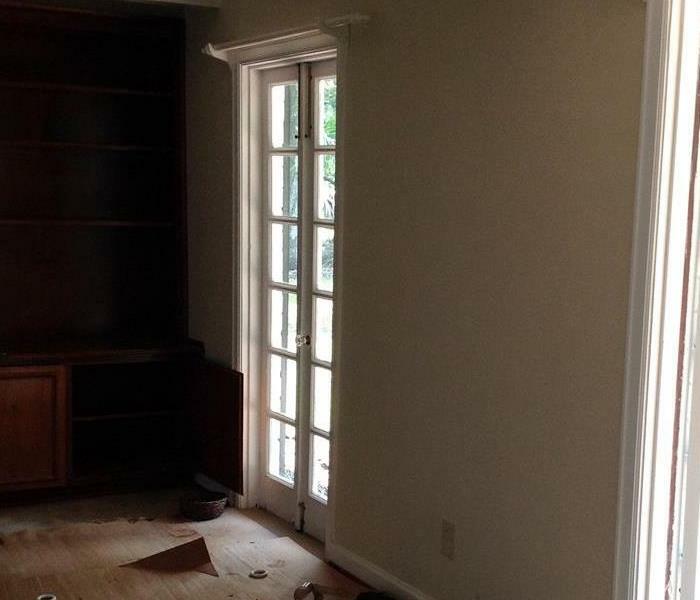 Our team of experts quickly responded to the call to begin restoring the home that was nearly lost due to a fire. Like many homes, Hurricane Irma was not welcomed, but she still came. This home was directly impacted by the amount of wind and water that came with Irma. SERVPRO of Bryan, Effingham, McIntosh, and East Liberty Counties went to work immediately to clean up the mess Irma left. Hurricane Irma was dreaded from everyone located on the coast. Because of the storm surge, many homes were damaged. This home was hit hard by the storm surge. Our team worked many hours to help the homeowners quickly return to normal. 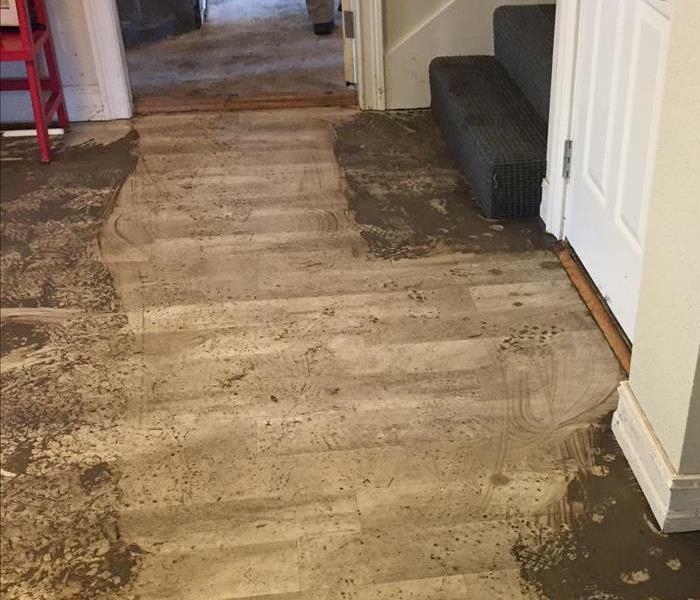 The first floor of this home was damaged due to a water leak. The water was able to spread very easily because the leak happened over night, and the homeowner was unaware of the leak until morning. A water pipe located in the kitchen burst causing a tremendous amount of water to spread throughout the kitchen of this home. Our team went right to work! 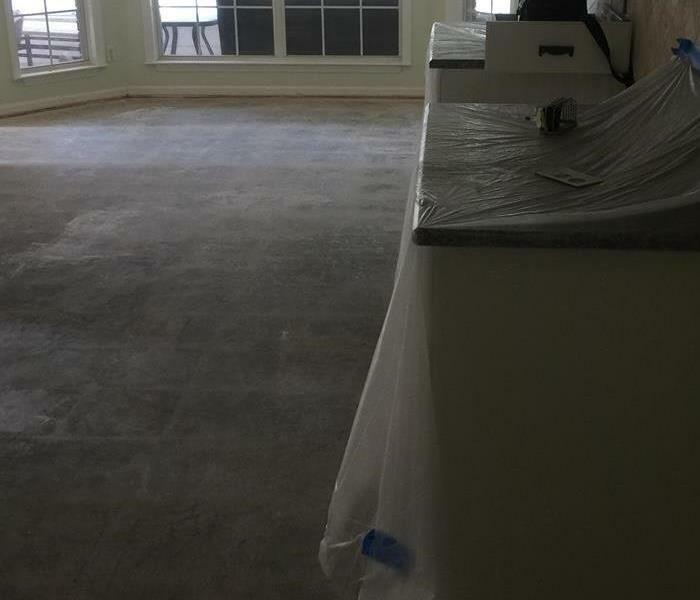 Unfortunately, the floor was ruined, but our team was about to save the cabinets for the homeowner. 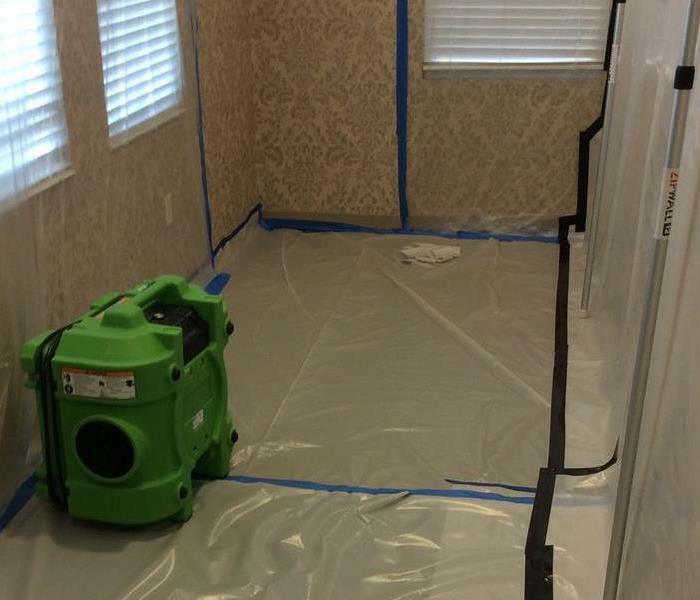 Our SERVPRO team was sent out to a home to inspect microbial growth. The crew took proper cleaning products, and once the cleaning was finished. The equipment used for microbial growth was placed to ensure all mold was gone. Fire damage to this Rincon home was very devastating to the family that occupied the house. SERVPRO was called and took on the project of rebuilding this structure. 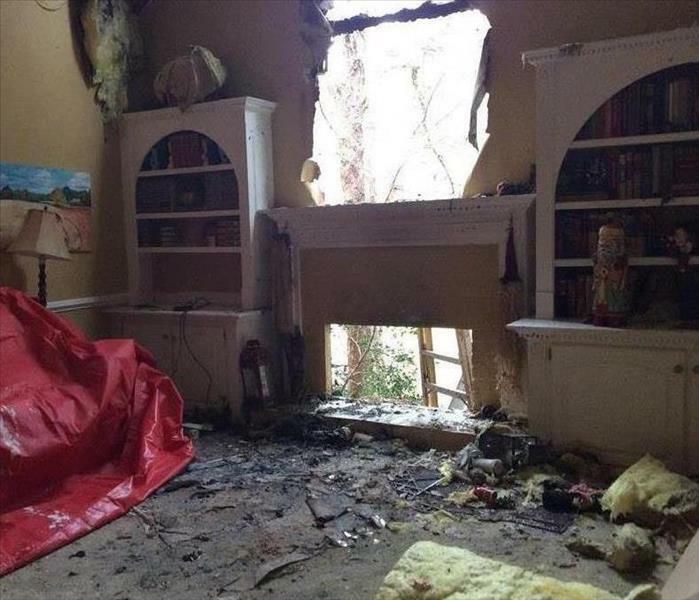 If you experience this sort of fire damage, call SERVPRO of Bryan, Effingham, McIntosh & East Liberty Counties. Mold damage at this Rincon home developed rapidly. The cause was a plumbing leak from the other side of the wall where a bathroom was located. Moisture had accumulated between the walls and along with the darkness created the perfect conditions for mold growth to develop. This small rental home in Rincon suffered water damage when the hose dislodged from the washing machine. 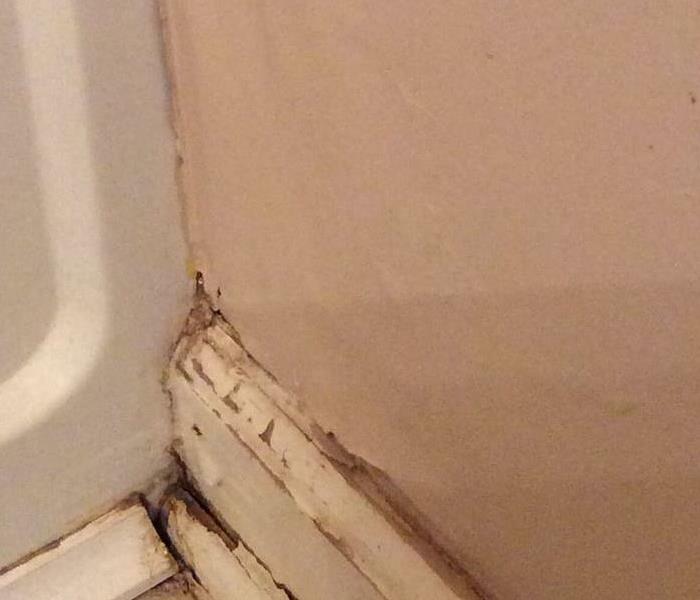 The water was sufficient to wick into the baseboards and ruin the already damaged vinyl tile flooring. We dried out the area and removed several baseboards for a thorough drying. Water from a pipe left puddles of water on this rubberized floor that was set over a concrete pad. It was critical to remove the water quickly it could seep between the seams and dampen the concrete. That would have complicated the drying process. Fast Service kept the Richmond center open. Storm damage occurred at this Richmond Hill home when a powerful band of thunderstorms with high wind gusts tore through the neighborhood. The porch on this home probably had some structural deficiencies prior to the storm, and the storm damage made the porch unsafe. 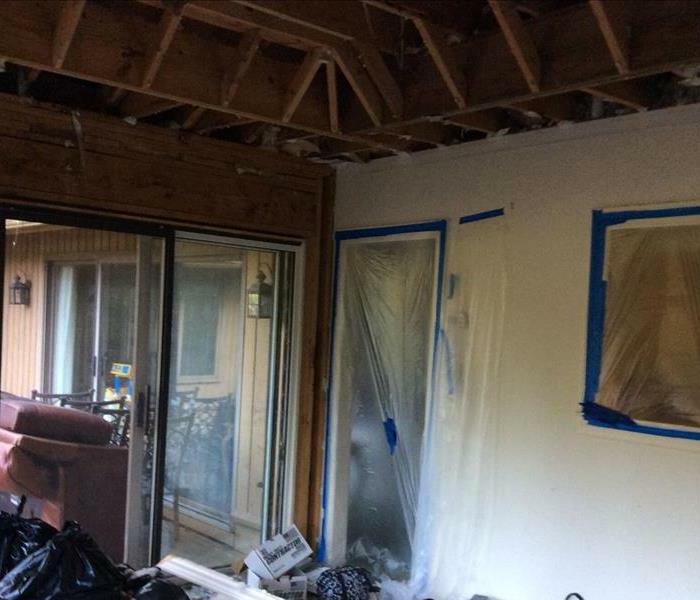 We tore out the damaged building materials and provided reinforcement to the structural elements of the porch. Then we provided a total rebuild to the porch as seen in the photo. The playroom in this house was very damp because of poor air circulation and lack of air conditioning. Since we were called in at the onset of this mold growth, we saved the walls by dry sponging the infestation for removal and applying an antifungal agent to the treated area. We suggested to the owner to lower the humidity in the room by purchasing a small dehumidifier or using more a/c. 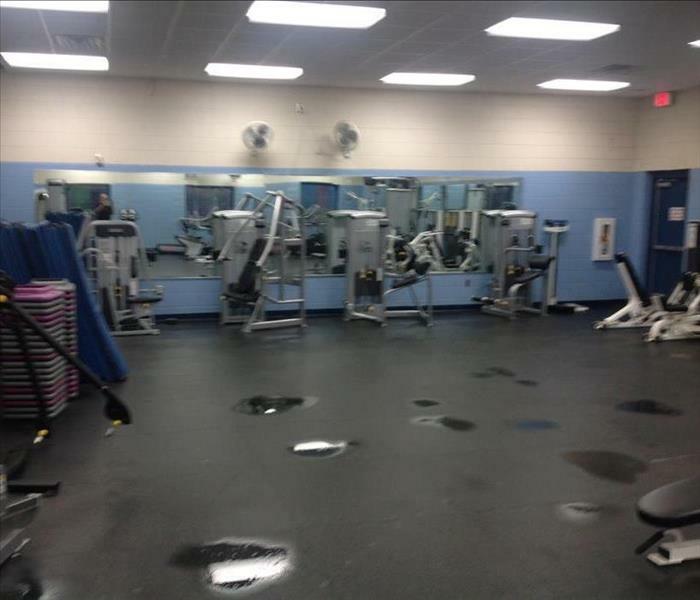 A malfunctioning sprinkler system was the culprit in this commercial water damage event in Richmond Hill. 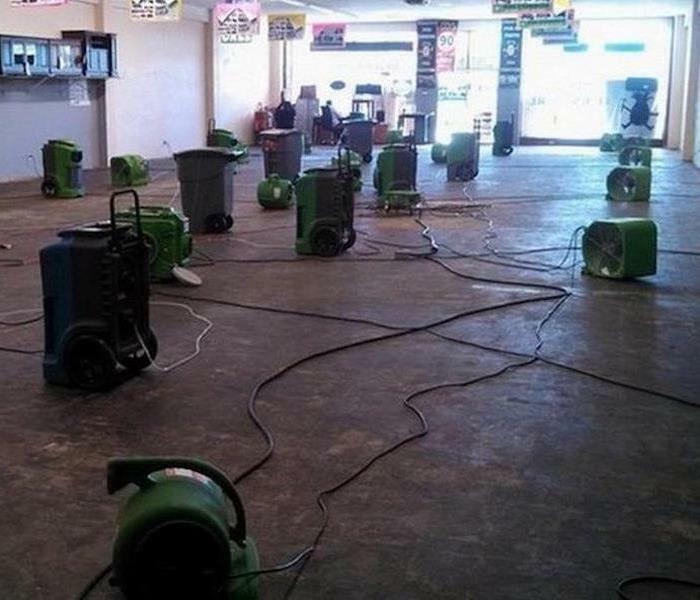 You can see the quantity of commercial drying and dehumidification equipment that was necessary to mitigate the water damage. 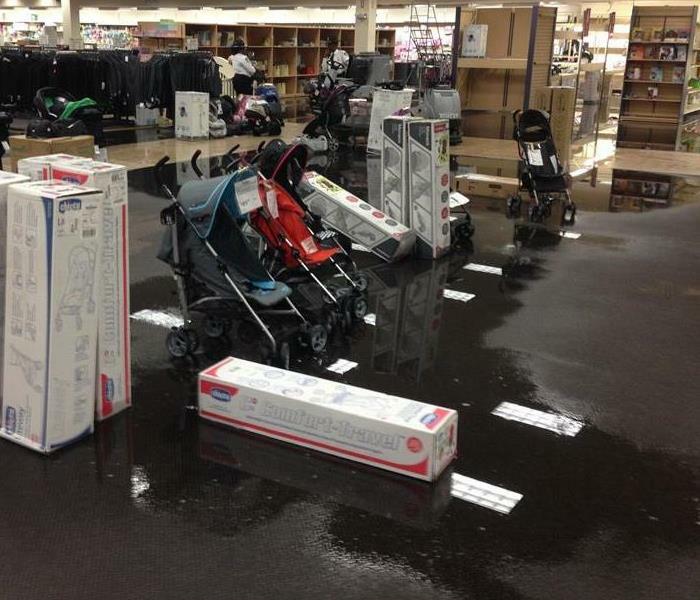 A water main ruptured inside this large retail store in Savannah as closing time was approaching. We immediately dispatched a SERVPRO of Bryan, Effingham, McIntosh & East Liberty Counties member to quickly assess the damage so that we could send out the right equipment. We were rapidly on-site and efficiently extracting the standing water within the hour. 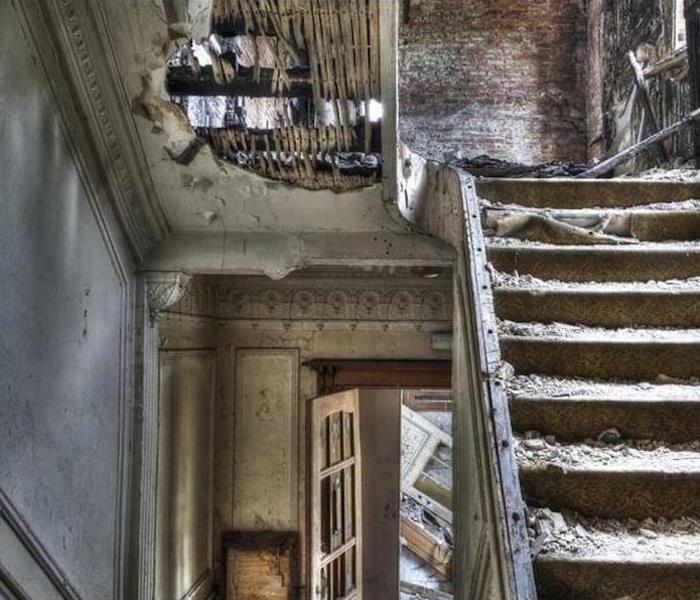 After a fire in a Darien home, smoke and soot were the culprits requiring professional grade cleanup and restoration. The damage was limited to several rooms since the A/C was not on at the time. 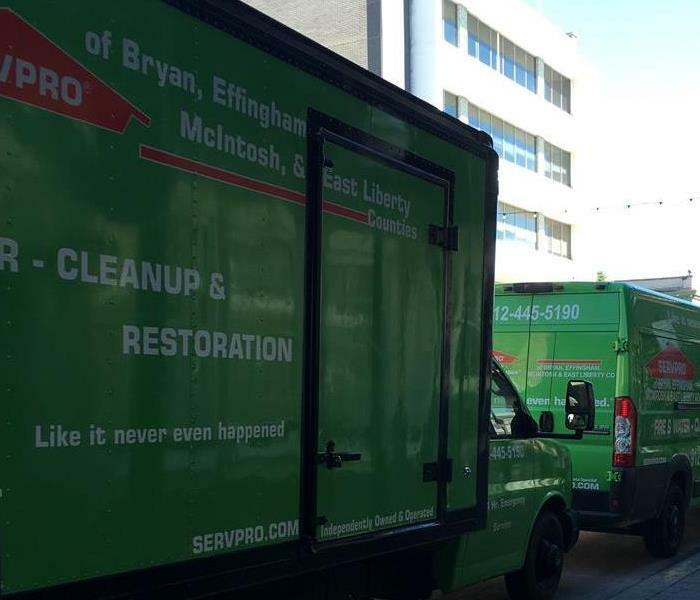 Call SERVPRO of Bryan, Effingham, McIntosh & East Liberty Counties 24/7 for help with fire, smoke, water or mold remediation at (912) 445-5190. 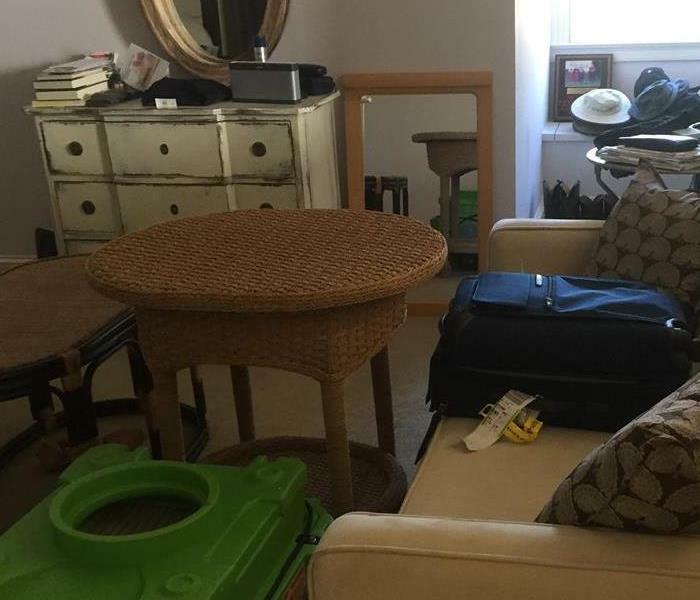 After this rental home had been trashed through accumulated filth and vandalism, SERVPRO of Bryan, Effingham, McIntosh & East Liberty Counties was asked to restore this house to its pre-loss condition. 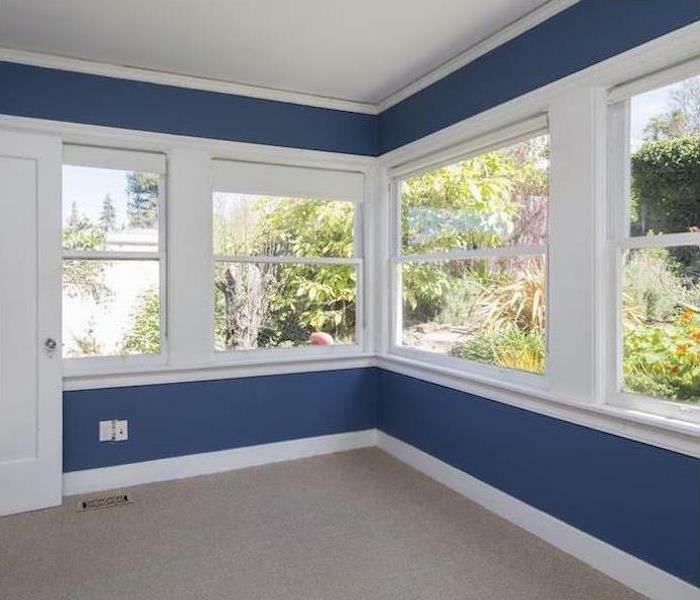 Our crew went to work and the end result was a house ready to be re-rented. The landlord was very pleased with our speed of service and final look: "Like it never even happened." Fortunately, after the fire started at this gas pump, the automatic shut-off valve prevented further fuel from becoming fuel for the fire. 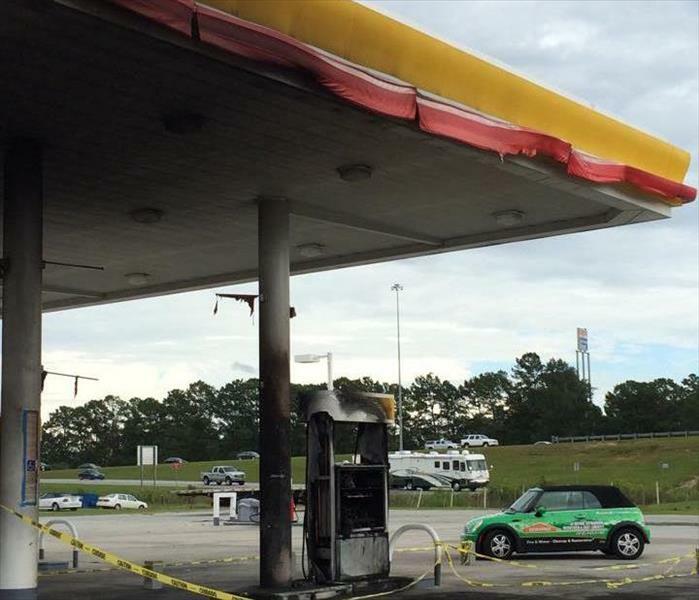 The vehicle was a total loss but SERVPRO managed to mitigate the damage caused by the soot and smoke. Our Fire Damage Restoration Technicians made short work of cleanup and deodorizing. 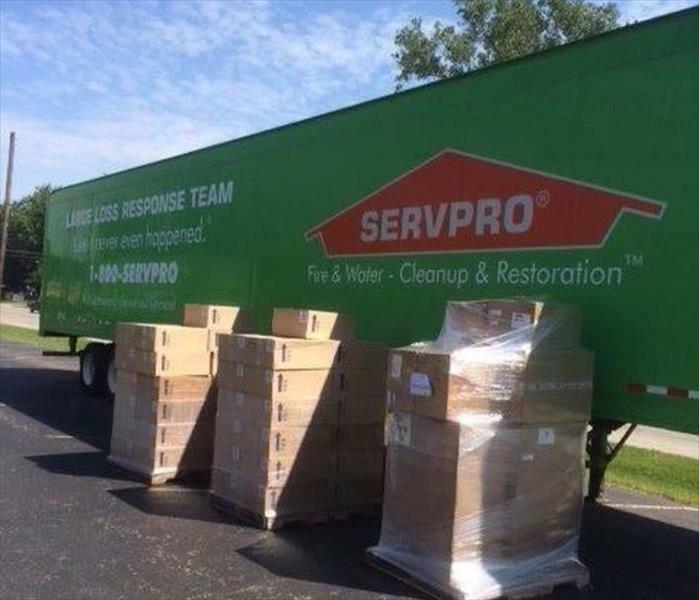 Our SERVPRO of Bryan, Effingham, McIntosh & East Liberty Counties franchise is part of the Large Loss Response Team. We proudly provide manpower and equipment to help with emergency fire and water cleanup and restoration on a national level. We can also assist you in Richmond Hill.